If you want a plant to grow, you would never just stick a seed into the dirt and hope for the best. Plants also need water, sunlight—maybe even a bit of conversation if you’re feeling quirky. It’s the same with creating presentations for your business. You can’t just focus on one single thing, ignoring the big picture, and expect the company to grow. Delivering a presentation is one of the most essential and fundamental methods of cultivating your business. But there’s more to creating a great business presentation than just including all of your most persuasive statistics and testimonials. If you really want to attract clients, you have to consider every single aspect of the presentation—both on the screen and off. With that in mind, here are 4 simple presentation tips you can use to help your business flourish to its full potential. Before you even begin writing your presentation, go over any relevant prospect data or market research about your audience that you have access to. Who are they, and why specifically might they use your product or service? Be sure to tailor your presentation specifically for them. For instance, if your company specializes in cookware and you were presenting to a group of restaurant owners, they would most likely want to hear about how your products can be best used in a restaurant’s kitchen. You wouldn’t present those products in the same way to an organization of outdoor enthusiasts; they’d be more interested in how the cookware could be used on a camping trip. Trim your presentation down to the elements that will be most relevant to the people you’re speaking to. This way, you’ll get higher engagement and it’ll be much easier to ask for a sale or action. Seeing people use the same old PowerPoint themes over and over is enough to make me cringe. A premade template is a fine place to start, but if you want your slides to stand out, you have to add your own personal touches to make them fresh and original. Imagine going into a venture capitalist meeting with your investor pitch deck wholly made from a default template. Pick out a color scheme that complements your brand; a few contrasting colors are usually pleasing to the eye. Use plenty of white space so that your slides won’t appear cluttered and difficult to digest. A good photograph can go a long way; don’t rely too much on text. When you’re looking for photos, try to stay away from ones featuring subjects who are obviously posed in an unnatural way; these can make your presentation feel cheesy and artificial. Not sure where to look? Check out our compilation of free stock photo sites for your next presentation. We’ve all been to presentations where Arial, Times New Roman and Comic Sans (blech) make their constant appearances. If allowed at your workplace, why not try some non-default fonts? Head over to fontsquirrel.com where you’ll find commercially available non-default fonts that you can use for your next presentation without any legal consequence! Picking a couple of fonts that stand out for headings will give your presentations that extra pizazz as well as help it stand out in a sea of sameness if you’re at a conference presenting along with other speakers. Be sure to check out our other quick and simple tips for making a presentation look professional, even if you’re a beginner at design. If you need more assistance, our presentation design experts are happy to help. The worst thing you can do in a presentation is read off your slides word-for-word without ever actually engaging with your audience. The most effective presentations aren’t lectures where you simply dictate information—they’re conversations where you tell your audience a story and respond directly to their questions and concerns. This doesn’t mean you should tolerate audience members constantly interrupting you with irrelevant comments, or force them to hold off all of their questions until you’re finished speaking. Even better, consider asking them questions as part of your presentation. Their answers might give you better insight into the direction your presentation should go and you’ll be able to engage with them on a deeper level. Rather than just talking at them, you’ll be talking with them. Sometimes audiences engage better with information if they have something tangible they can hold in their hands. Printed handouts are an excellent way to capitalize on this, especially when you’re explaining a particularly complicated subject. You won’t necessarily want to include every single slide; it’s not like you’ll be there to explain to them after the presentation is over. 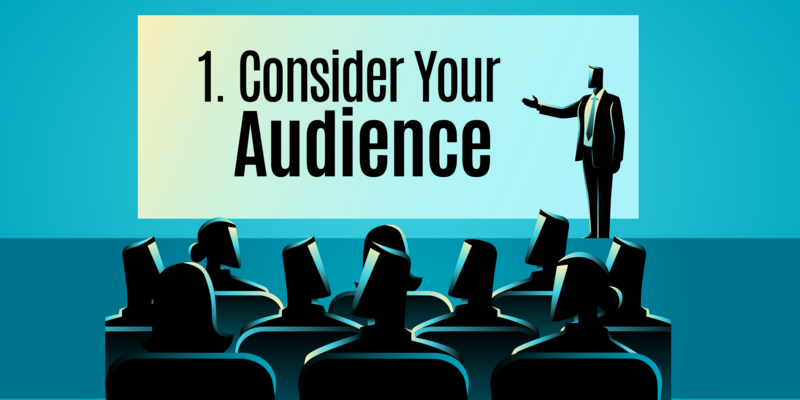 Adapt your presentation into a format that your audience can easily comprehend on their own. A great way to do this is to create your own handouts that don’t necessarily repeat what’s on the slide, but instead adds depth and elaboration on the pointers that you make within your presentation. 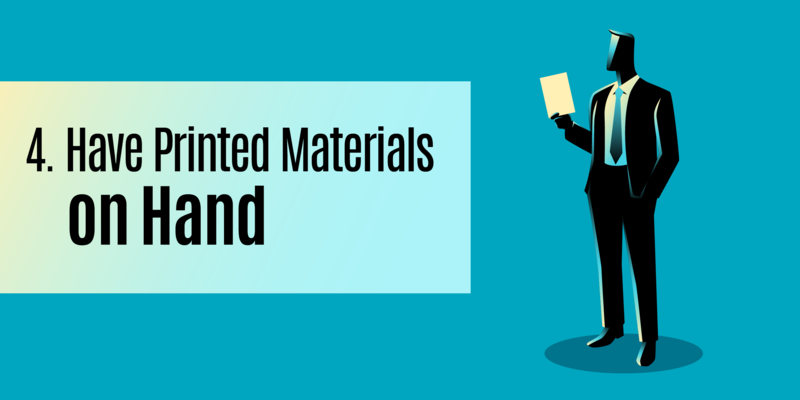 Alternatively, you could create binders full of materials that supplement your points and hand them out before the presentation starts for corporate settings. Just be careful with this strategy; you don’t want people looking down at a binder when they should be focused on you and your words. 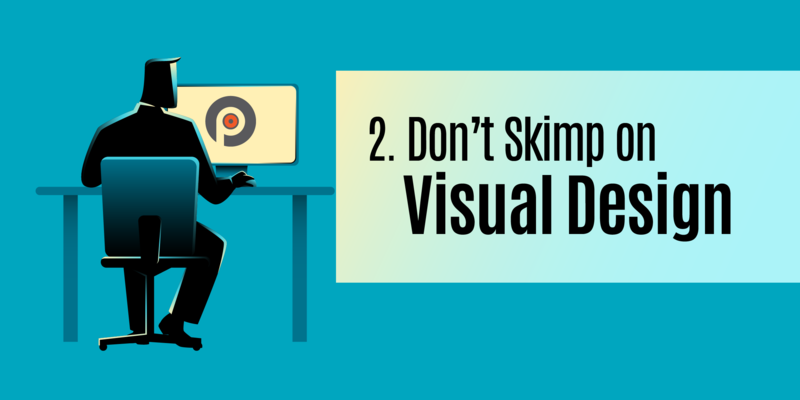 Don’t overload the recipient with text; stick to simple visual aids that reinforce the things you’re saying. 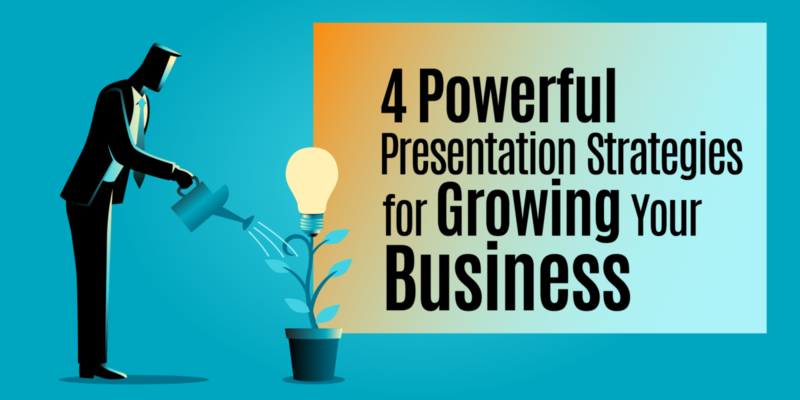 Keep these 4 handy strategies in mind, and your next business presentation will be a hit! 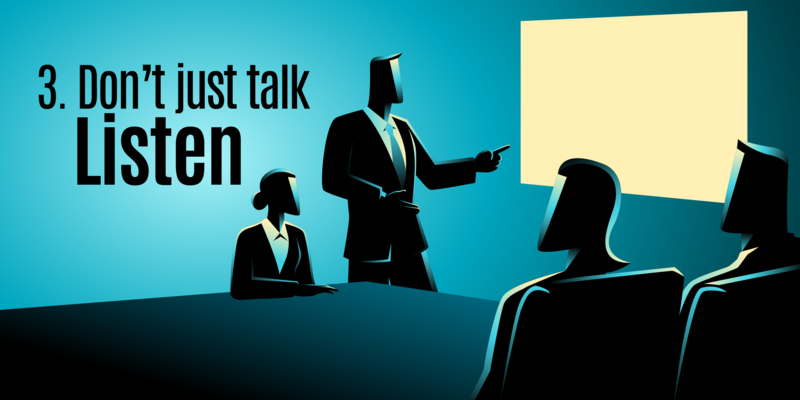 Do you have more tips for creating a solid presentation that will attract business? Let us know in the comments below!